One of my absolute favourite blogs to visit is Simplicity. 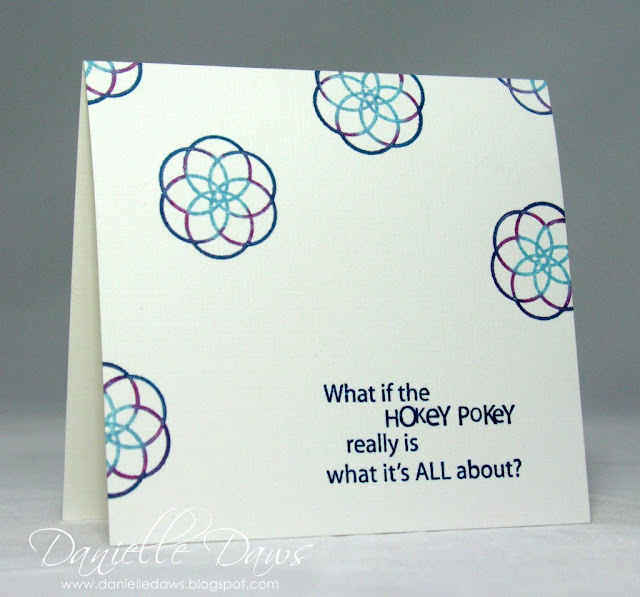 It's the gorgeous blog by Susan Raihala, and showcases her stunning, simple and elegant cards. I get so many ideas from Susan! I especially love visiting her blog to check out the latest challenge and all the beautiful entries. And this week I have an entry for the One Layer Wednesday Challenge 14! I've been itching to use this sentiment for ages, but didn't ever have the right occasion to use it. And I need to give full credit to my upline Esther for suggesting Circle Circus to go with it. You're a star, Es! This is a great card, and I agree that that stamp is just right with the sentiment. I love how you have lots of white space, but not one giant block of it, it is kind of all over.